As part of the Climate Change Solutions Fund’s inaugural round of awarding, seven Harvard affiliates collectively received roughly $800,000 in grants for projects focusing on climate change last week. 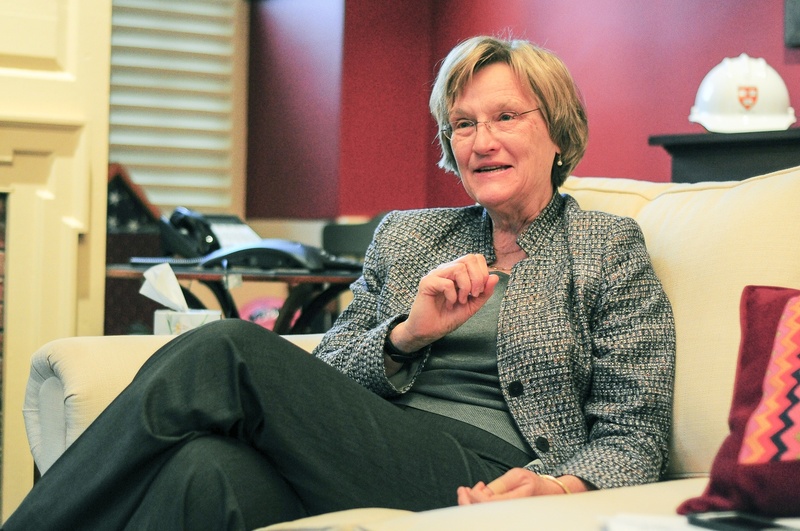 The fund, which University President Drew G. Faust created last April, seeks to support research about “long-term global climate change—as well as immediate threats to the natural environment,” according to a University press release. Recipients included Jose Guillermo Cedeno Laurent, a research fellow at the School of Public Health; Emily M. Broad Leib, a lecturer at Harvard Law School; Michael B. McElroy, a School of Engineering and Applied Sciences professor; Daniel G. Nocera, a professor in the Chemistry and Chemical Biology department; Rohini Pande, a Kennedy School professor; Jisung Park, a Graduate School of Arts and Sciences doctoral candidate; and James H. Stock, a professor at the Faculty of Arts and Sciences and a Kennedy School of Government faculty member. The focuses and disciplines of the projects varied, with Leib looking at reducing food waste, Pande researching market-based policy design to mitigate air pollution in India, and Stock investigating market impediments to the penetration of biofuels. Autumn Bennett, program coordinator at Harvard's Office of the Vice Provost for Research, emphasized the University’s commitment to climate change research in a statement on behalf of Richard McCullough, Harvard's Vice Provost for Research. The announcement of the grant winners came just a day before protesters stormed Massachusetts Hall demanding that Harvard divest from fossil fuels as part of an effort to combat climate change. The fund will accept online proposals later this year for its second round of grants. The value of the fund, according to the press release, was $20 million at the time of its creation. —Staff writer Samuel E. Stone can be reached at samuelstone@college.harvard.edu.